When you get a new puppy, it can be like you’re back in the days of having a newborn baby. There will be night feeds, broken sleep, and toilet training. So it is something that you do need to be prepared for. 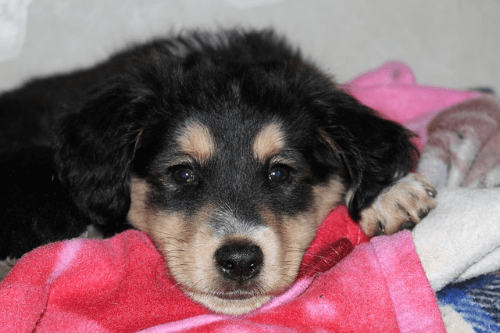 As well as taking care of the physical needs of your puppy, there are lots of different things that you need to do to take care of your puppy’s wellbeing and mental needs too. If you do some of the following things, you will be well on the way to raising a healthy, happy, and well-balanced dog. If your puppy is feeling unwell, it can make it much harder for your dog to adjust to a new environment. It will make the puppy more unsettled and will mean more sleepless nights for you. It can also be hard to determine what your dog’s temperament and personality are like when they are feeling unwell. The same goes for us humans, right? So one of the first things you should do is to schedule an appointment for your puppy to see a vet. Making sure that your puppy has a healthy and well-balanced diet is important to its overall health. 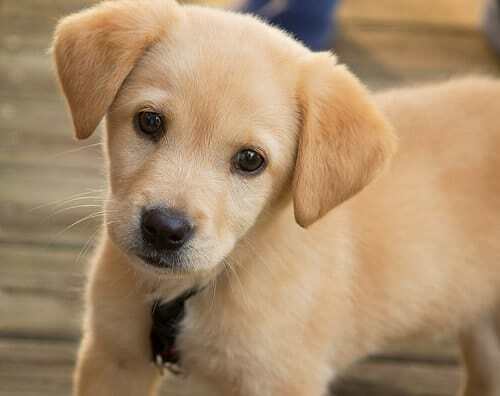 It is also important for the puppy’s growth, as well as mood and energy levels. So you might want to do some research as to what the best brand of food to buy is. Check vitamin and mineral content, as well as protein and water content. You could even think about making your own dog food, though. Then you’ll know exactly what is going into the food that they are having. So looking up some homemade dog food recipes could be a good idea if you’re thinking of getting a new puppy. When puppies are puppies, it means that they are babies. They need space to play, but as they are babies, it means that they will still sleep a lot. So giving them somewhere to call their own is important. They will learn that it is their space and they can go there to sleep it could be that you get a crate for them to sleep in, or you just get a dog bed or soft area for them to relax in. Encourage them to go to this spot regularly, and it will become second nature to them quite quickly. In order to get a dog that is happy and balanced, it is a good idea to socialize them pretty early on. Doing so will help them to be more well-behaved, as well as help them to be more gentle and well-mannered, especially around other dogs. Joining a dog group might be a good idea or a puppy training class. Then they will get to be around other dogs, but they will also be well on the way to some basic training commands too. So it is a winning situation in two ways.